SOME of the top volleyball coaches in the country are attending a coaching seminar hosted by the Larong Volleyball Sa Pilipinas Inc. (LVPI) and facilitated by the International Volleyball Federation (FIVB). LVPI president Joey Romasanta said the seminar is being conducted by FIVB course director Shanwen Zhao of China and FIVB course instructor Razieh “Samira” Seifzadeh of Iran. The seminar began Monday and will run for 15 days. At least 12 coaches are taking the course, among them Olivar Almadro of Ateneo, Mac Gepuela of Miriam College, Kungfu Reyes of Army and University of Santo Tomas, Clarence Esteban of Air Force and UST, Johnson Bariso, Jojo Hugo, and Adrian Comla. “This coaching course will definitely help the national program. While volleyball is very popular here, in terms of international competitiveness were still way behind and that’s what we want to address,” said Romasanta. LVPI vice president Peter Cayco, directors Ariel Paredes of the Philippine Superliga and Rod Roque of the UAAP led the preparations for the seminar. “Coaching is teaching. It’s a never-ending education. 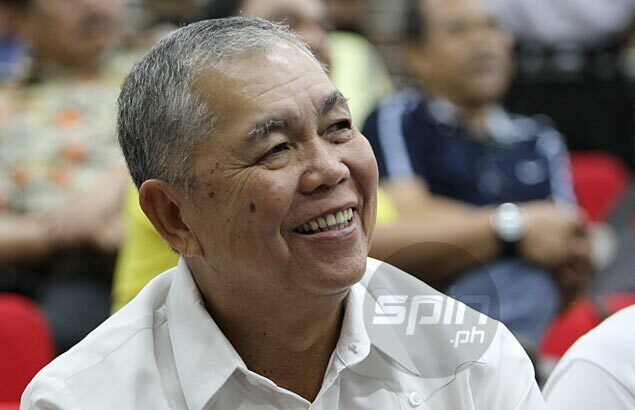 We should always update ourselves with the innovations all the time as far as volleyball is concerned,” Romasanta said.